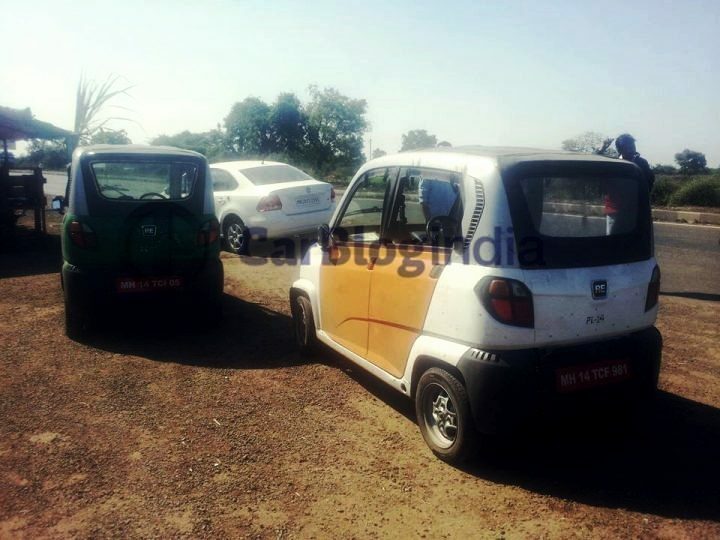 Qute, the highly awaited ‘Bajaj Small Car’, to Launch This Year! It’s been over half a decade since the much anticipated Bajaj small car, basically a four-wheeled, four-seater quadricycle aiming to replace three-wheeled auto-rickshaws, first made news. Since then, the Bajaj Qute, or the Bajaj RE60 as it was initially called, has been entangled in a web of controversies that have been keeping this vehicle away from its official launch in India. Not to be confused with the now axed Bajaj small car project with Nissan and Renault, the Qute is actually aimed at the commercial vehicle market only. 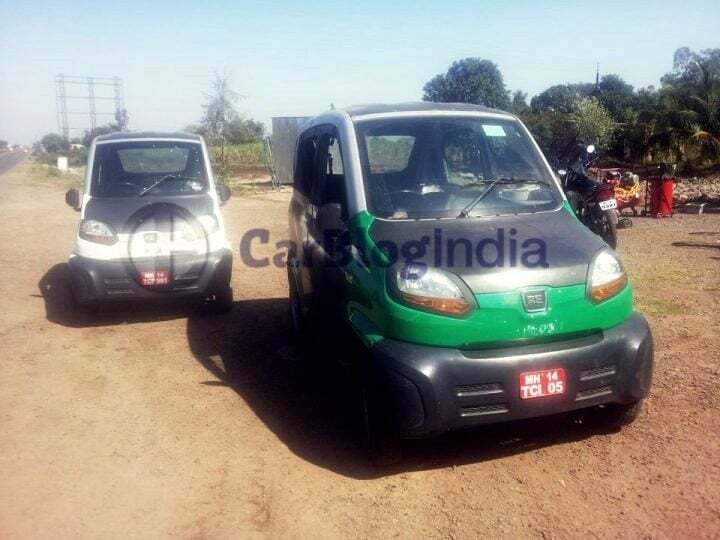 While we’ll have a clear idea of the prices only around the time of launch, rumours have it that this “Bajaj small car” will have a sticker price of roughly Rs 60000. For now, we’re taking this price-related rumour with a fistful of salt. Also See- RUMOUR – World’s Cheapest Car from Bajaj for Rs 60000! The biggest hurdle in the launch of the Bajaj Qute aka Bajaj RE60 aka Bajaj Small Car is the string of PILs filed against it in different courts across the country. These Public Interest Litigations have been filed with auto-rickshaw unions, drivers and even some lawyers who decided to prevent the launch of this quadricycle. It may be noted here that the Government has already given a green signal to quadricycles and it’s now these legal troubles that are keeping the Qute from its launch. These said PILs have been filed in High Courts of Delhi, Tamil Nadu, Karnataka, Gujarat and Andhra Pradesh. In 2015, the Supreme Court bundled all the cases together and decided that the case will be heard at the apex court. Well, the much anticipated ‘Bajaj small car’ isn’t actually a car but a quadricycle that aims to replace auto-rickshaws. 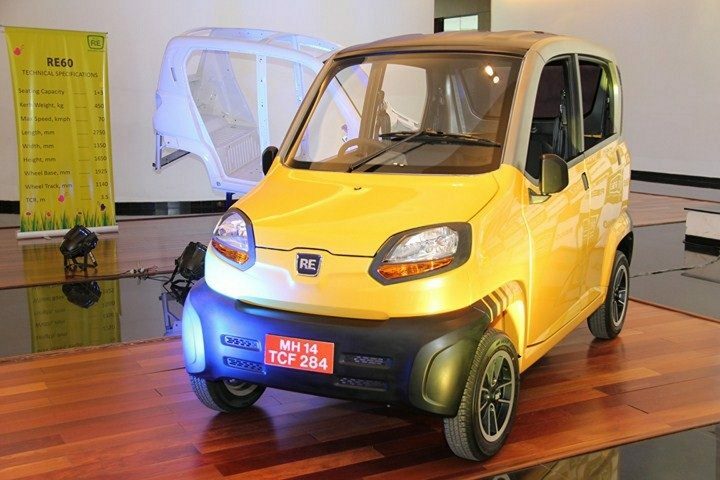 So, basically, those of you who’ve been waiting for a Bajaj car with price of Rs 60000 only will be disappointed to know that the Qute will be made available in the commercial market only. Such type of vehicles are already on sale in many markets abroad. 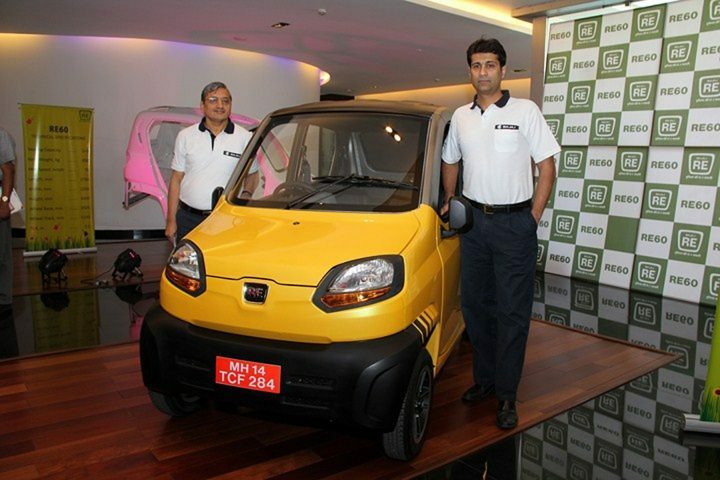 Bajaj has the capacity to produce as many as 25,000 units of the Qute (RE60) every yeaar. Currently, one-third of this capacity is used to produce this quadricycle for the export markets. The rest is currently unused. Bajaj is waiting to get rid of all the legal troubles before it can launch this ambitious vehicle. Also See- A Bajaj Car of Rs 60000 Only – Truth or Myth? While nothing’s clear at the moment, Mr Bajaj has said that he’s confident of launching the the Qute this year. “Based on my interaction with the people in power (sic) I have reason to believe that within the next few months we may get permission to introduce this vehicle in this market,” added Bajaj. Talking to his company’s shareholders, Rajiv Bajaj, Managing Director, Bajaj Auto, said that the only reasons for such a huge delay in the launch of this vehicle are the never ending tactics used by the rivals. “It is well known that the only country where the Qute is not permitted is our country (and it is) only because of competition. They have used all kinds of nefarious techniques to create problems through political circles and through courts. I will say this very candidly that they have stooped to levels that we thought they never will. (But) If it means we have to live without one country (then) we will live without one country”, added Bajaj. While there have been rumours that the RE60 will cost as little as Rs 60000, it’s pretty much for sure that the prices will start at Rs 1.40 lakh. The model with the highest price tag could cost Rs 1.60 lakh. Official prices will be revealed only at the time of the launch. The company had first showcased the vehicle’s petrol variant which was propelled by a 200cc DTS-i petrol engine which had a maximum power output of 20 BHP. But the one which was caught testing in 2015 was the CNG variant. Bajaj seems to have readied even aCNG variant of the RE60 because public transport vehicles in the major metros in the country are mandated be running on this cleaner fuel. The quadricycle, or the so called small car, has a top speed of 70 KMPH and delivers a mileage of 35 KMPL and coupled with CNG, it will be a way cheaper option to run. Stay tuned for more on this highly awaited Bajaj Small Car – the Bajaj Qute (RE60).